Which amazing and gorgeous, click through to see it in all its fantastic detail and loveliness (okay I admit I’m totally taken with this piece, I love snowscapes and the tiny footprints leading to the door I adore. 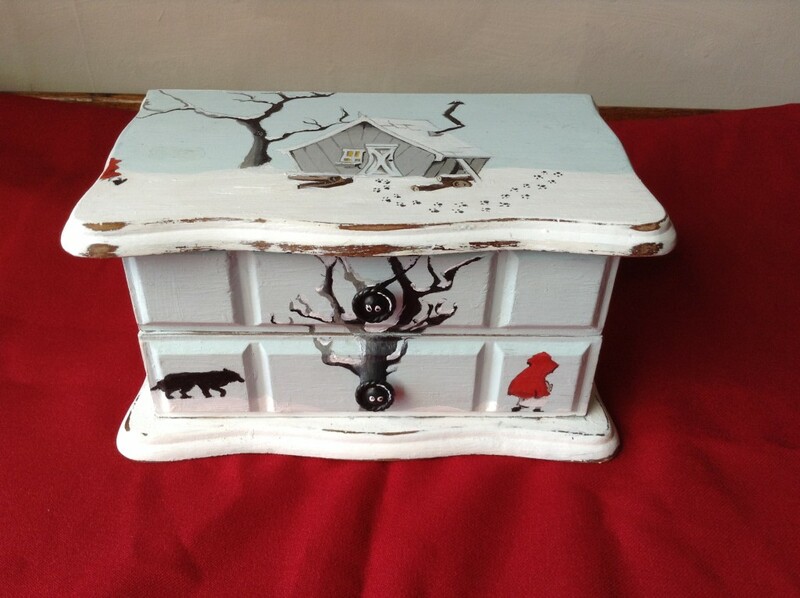 In one painted box it pretty much tells the entire story of Red Riding Hood). Kirsteen has everything sorted with her wonderful designs and we’re sure she’ll be a success no matter what, but what we’re doing is helping out with her website, and helping out with her social marketing, just lending a hand and offering our advise and experience. So, please check out Hidden Heart and find the full array of her work on her website (www.hiddenheart.co.uk), Facebook and Twitter. Previous PostPrevious Which fictional character would you set up a business with?